After being delayed for over six weeks, Apple’s AirPods finally became available for preorder on Tuesday and are set to hit Apple stores this coming Monday (December 19). Now, the Cupertino company has revealed its repair and replacement costs for the devices. MacRumors reports that Apple won’t be offering AppleCare+ for its AirPods; instead, there will be the standard one-year warranty found on all Apple products. If you lose or break one of the buds or the charging case, replacements will cost $69; this applies regardless of whether or not they are still under warranty. While the 12-month warranty covers a defective battery, it doesn’t cover wear from normal use. A battery service for decreased capacity, which may become necessary at some point, is free during the first year after purchase but will cost $49 for each AirPod and charging case after this period. 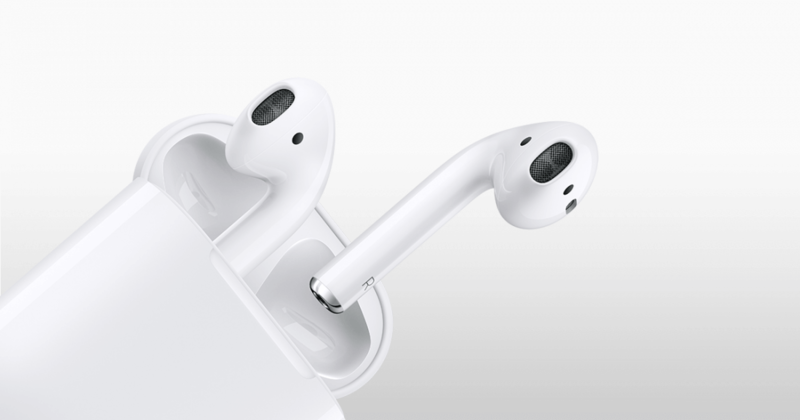 The AirPod set – both buds and the battery case – sell for $159, so at least Apple is offering single (albeit pricey) replacements instead of making people fork out the full retail cost - which is good, as it's reportedly quite easy to lose or break the buds during strenuous exercise. It’s worth noting that you need to pair your iPhone with the charging case in order to use the AirPods, so there’s no point trying to trick Apple into selling you two individual units, thereby saving $20. You would need the case as well, bringing the total cost to $207. Several early reviews of the AirPods have called them average at best. In addition to their high price, one of the biggest criticism is their mediocre audio quality. How sweet of them. It never fails to amaze me that they never declare bankruptcy considering their bargain pricing and generous nature. They remind me more of a charity than a business. Reehahs, tuxbugy, drjekelmrhyde and 2 others like this. You don't have to buy it. I don't like them, because you need to pay for anything and everything and that's why I stick with Android phones and I am happy with it. They have everything I need. Keep 'em. I'll stick with the 6S and its 3.5mm jack. Something tells me Apple's profit on these things is yuuuuge. I have no pity for anyone that buys these. I'll be honest, even though I've enjoyed Samsung phone, I'm anxious and excited to see if Sammy will follow suit and remove the 3.5mm jack - will be exciting to see the $20 billion dollar loss due to the Note 7, turn into 40 or 50 for removing the jack and becoming irrelevant. Samsung have announced that the S8 will remove the headphone jack. Other android manufacturers have announced they will remove the headphone jack too. Of course removing the headphone jack doesn't make the product irrelevant. Why on earth do you think it does? ...because I wouldn't be able to use the device as a hands-free phone or listen to music. What is a phone if you can't use it as a phone and what is a mp3 player if you can't listen to music? I call that irrelevant - what do you call it? But you can though, with a reasonably trouble free adapter or wireless headphones. The latter I recommend. I use an iPhone 6S but all this no headphone socket business has prompted to enter the world of wireless headphones. And what a superior experience it really is in my opinion.